Searching for (K)Shema Alexander – Anoop Menon marriage news, marriage date, facebook and photos? Kseham Alexander, daughter of Thottumukkath Prince Alexander Prince Park Pathanapuram is getting married to actor Anoop Menon. The couple is tying the knot after 5 year long relationship. 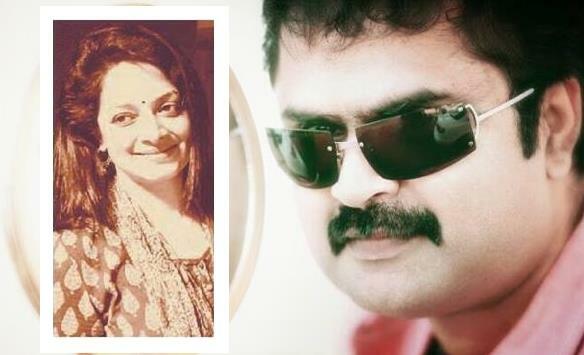 The marriage of Shema Alexander – Anoop Menon will take place in December 2014. Anoop Menon, the most eligible bachelor of malayalam film world is getting ready for this marriage. Anoop, better known as scenarist and actor will marry his love interest Shema Alexander in December 2014. The couple would enter the wedlock after their 5 year long friendship, with the blessings of both the families. Kshema Alexander, who hails from Pathanapuram near Kollam is the daughter of Thottumukkath Prince Alexander and late Lilly Alexander. Anoop Menon, the son of Balussery Paramabath Veettil Gangadara Menon and Indira Menon has revealed about his marriage plans in his recent interviews. The most recent news about his marriage will give an end to the rumour mills spreading around him for quite a while. Staring his career as an anchor in Kairali TV and Surya TV, Anoop won the hearts of the small screen spectators through his acting brilliance in daily soaps 'Swapnam' and 'Megham'. Not merely just as an actor, he spread his wings expressing his talents as screenwriter and lyricist. 'Beautiful', a Malayalam thriller movie scripted by Anoop Menon and directed by V. K. Prakash was a real turning point in his film career. The state honoured him with the Kerala State Film Awards for the second best actor for the movie 'Thirakatha'. The year 2014 seemed to be luckier for the youngster who was blessed to be a part of three hits – '1983', 'Angry Babies' and 'Vikramadithyan'. Anoop has proved his mettle as an actor as well as a scenarist by acting in 48 movies and scripting for 7 movies within a career span of 12 years. After the grand success of 'Angry Babies', the actor has yet again joined with Saji Surendran for his upcoming movie 'She Taxi' starring Kavya Madhavan and Ansiba Hassan. His next release would be 'The Dolphins', directed by Diphan. He has also given life to the character of an government officer in Priyadarshan's 'Aamayum Muyalum'.